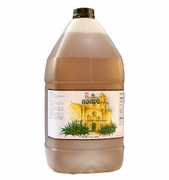 Raw Blue Agave Nectar 6-Pak Special (Net Wt 18 lbs / 288 oz / $0.20 per oz.) Free Shipping! Buy 6 and Save - 6 Pak Special w/ Free Shipping! 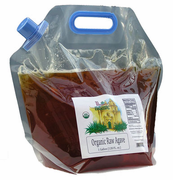 A natural sweetener high in fructose that has a very Low Glycemic Index (does not quickly raise blood sugar levels). 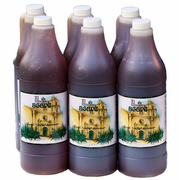 Sweeter than cane sugar so less is needed; perfect for those on low-carbohydrate diets and watching calories. A great way to reduce your overall sweetener intake. ** Convenient bottle size; Perfect size that stores conveniently on your counter top or dining table and ready to use. ▪ 1 gallon Raw Bulk Agave w/ Free Shipping! $0.22 per oz. 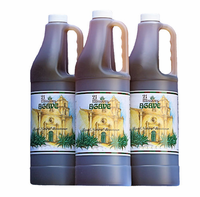 ▪ Raw Agave 6 Pak Special Free Shipping! $0.20 / oz. 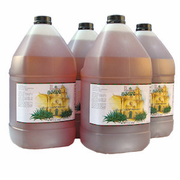 1 gallon Raw Bulk Agave w/ Free Shipping! $0.22 per oz.